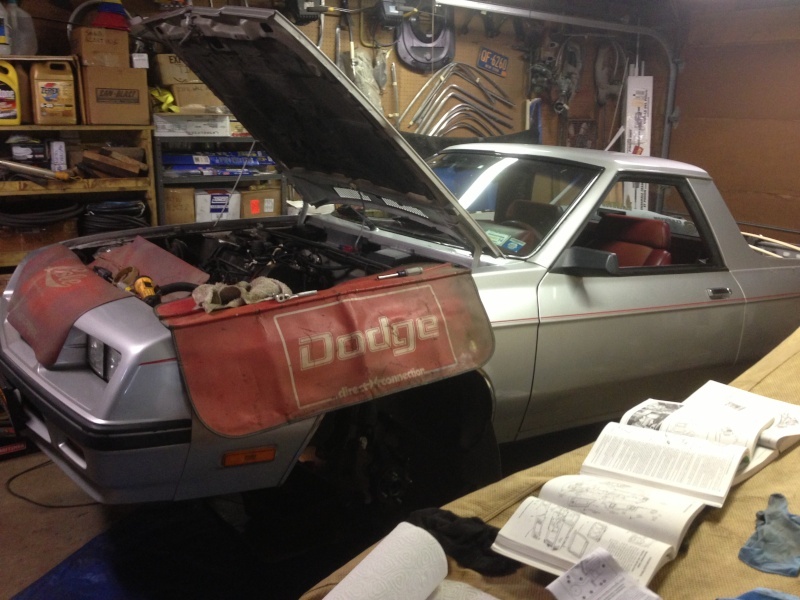 Official Rampage/Scamp Thread - Turbo Dodge Forums : Turbo Dodge Forum for Turbo Mopars, Shelbys, Dodge Daytona, Dodge SRT-4, Chrysler PT Cruiser, Omni and more! 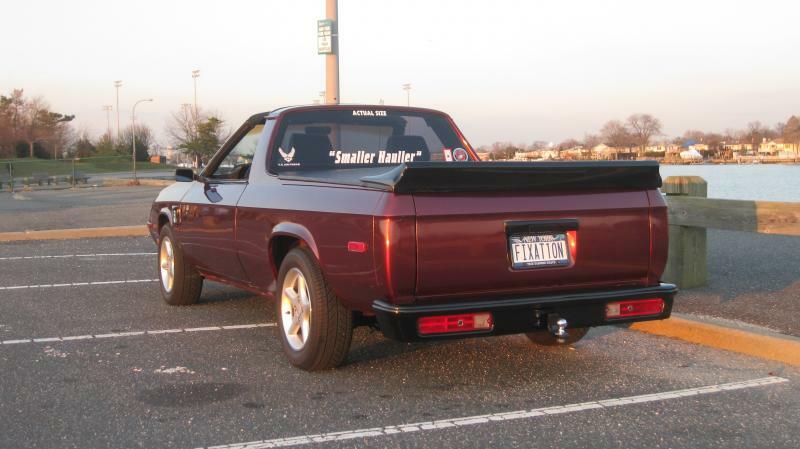 I've looked and searched and I didn't see one so let's make a official dodge rampage thread. 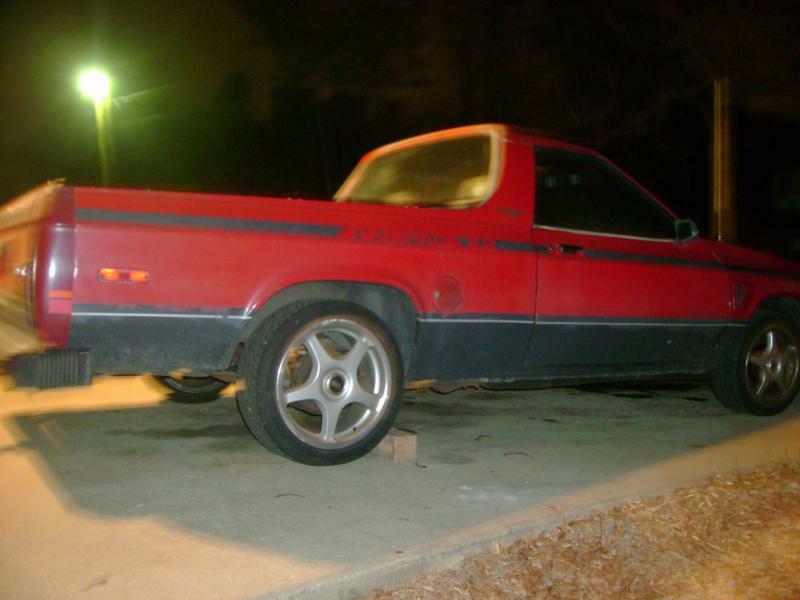 count me in - I have owned this daily driven work truck for over 20 years . Major collector of anything Rampage/Scamp. 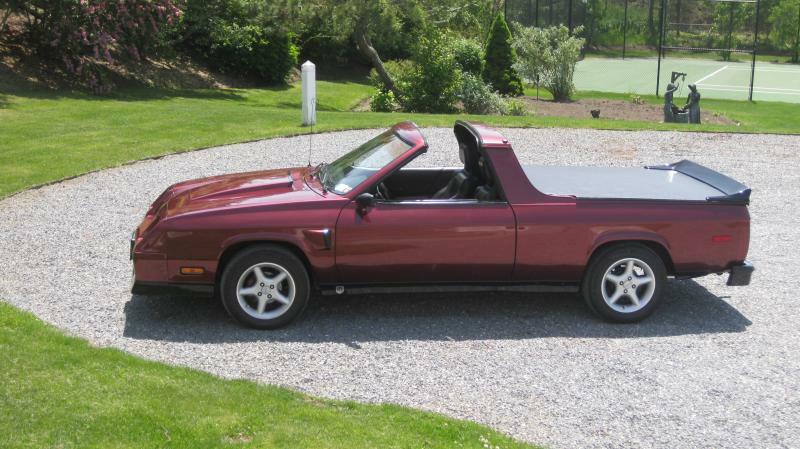 Fully custom,Targa top,shaved handles w door poppers , S/S bed cover w hydro lift, full leather interior .power windows.heated seats .custom tail lights and bumper,GPS Sat,blue tooth,Ipod dock ,custom center con.HD lamps and much more 277,000 miles and counting. I have had 3 others .Lets keep it going . Make it the official Rampage/Scamp thread, and I'm in. Need to get some pictures of mine to post. 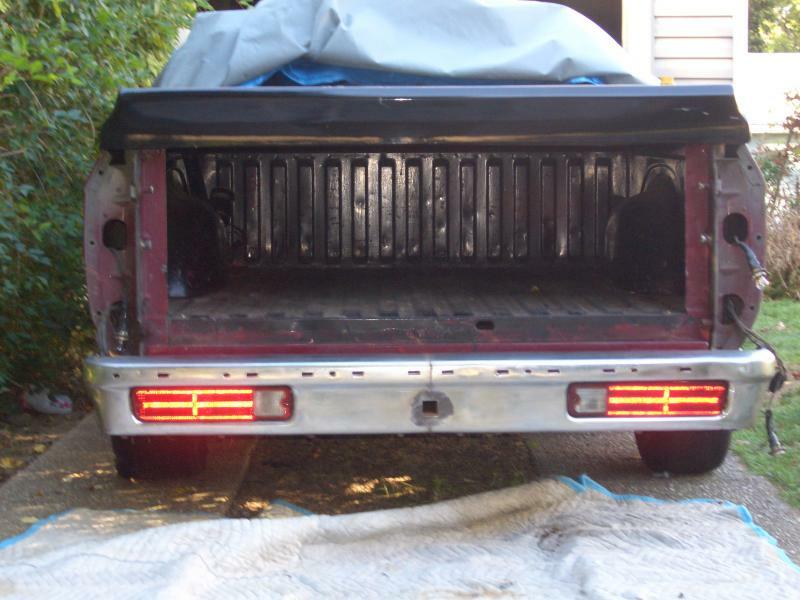 It will be more of a before picture, as mine is about to go in the shop for body & paint work. Doesn't look like much now, but it will be sweet when done. If I knew how to add the scamp I would. Can a moderater add scamp after the rampage? That's a hard act to follow. I'll have to dig through my past posts to get the pictures together, then I'll post some. My rampage had fresh paint (2010 Viper PDR code) in Feb 2010. 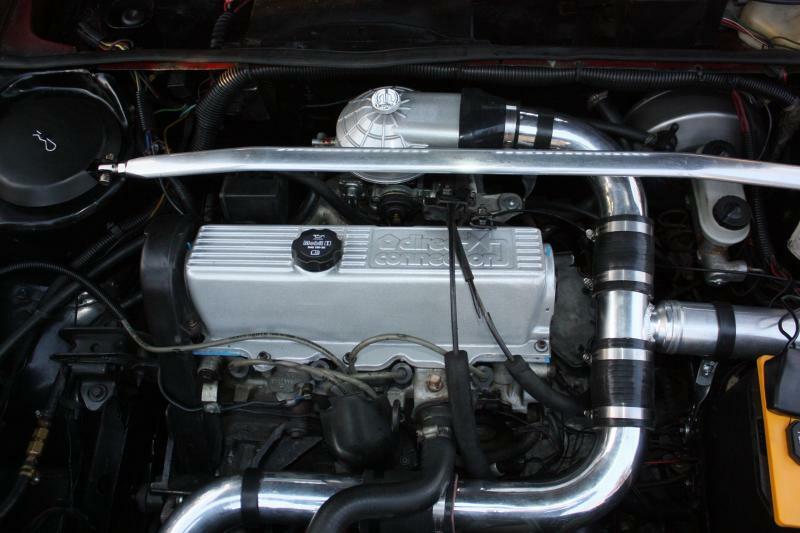 2.5 TII, JE's, ARP, Steve Megegon big valve ported G-head, TU trannybuster E style w/3" sw, TU Header, +40's, etc. With house work, life and othe projects getting in the way, I'm struggling to finish it before Carlisle this year. before and during shot. 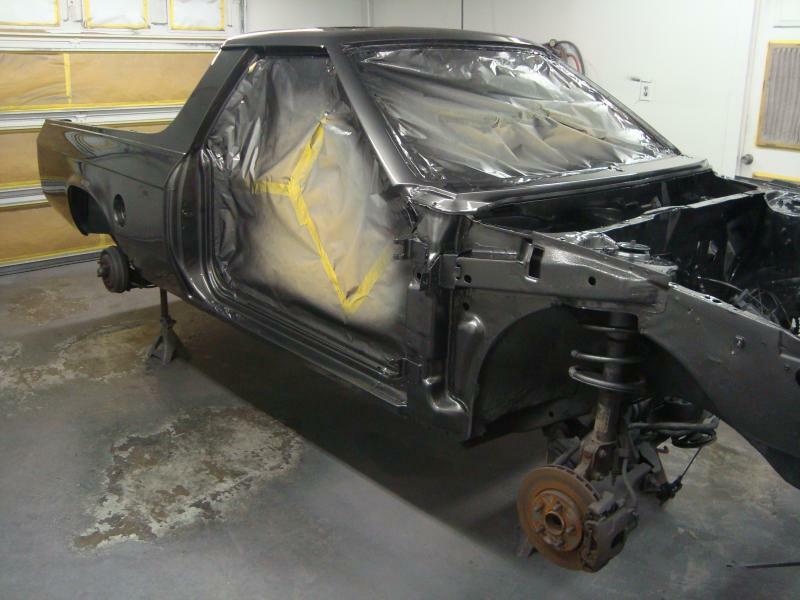 Is that AA9 Charcoal Grey metalic your spraying? I ask because that's the color of mine. Now I have to take some pictures and post. here's a couple of mine, Enjoy! 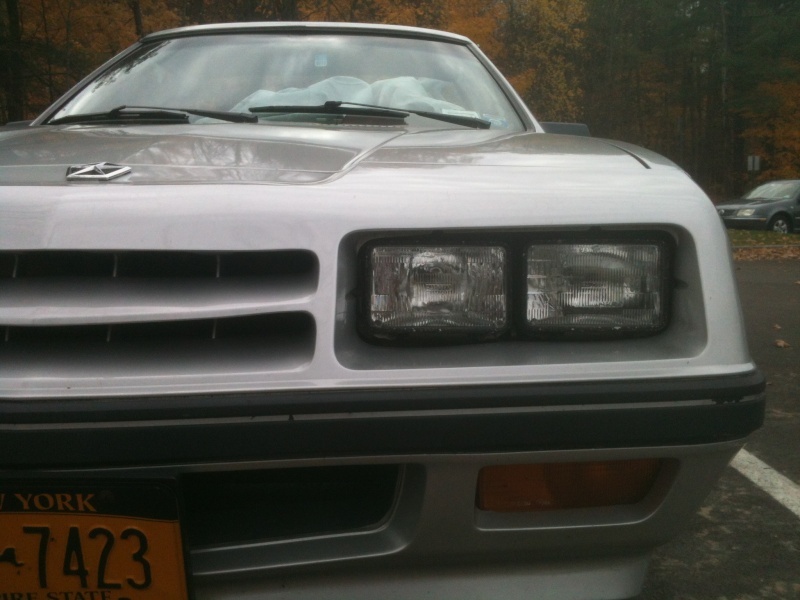 Here's a link to my Rampage "Build Thread" on the land speed racing forum. 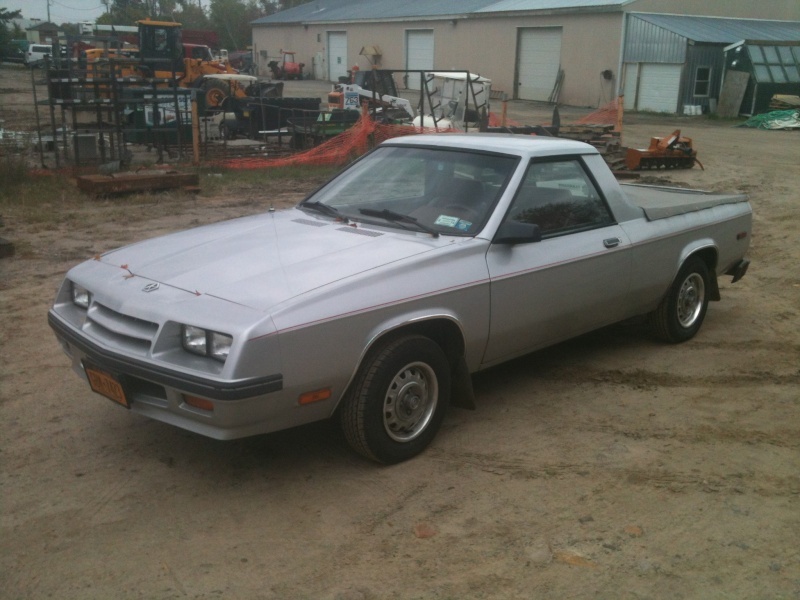 I'm taking it to Bonneville in September. 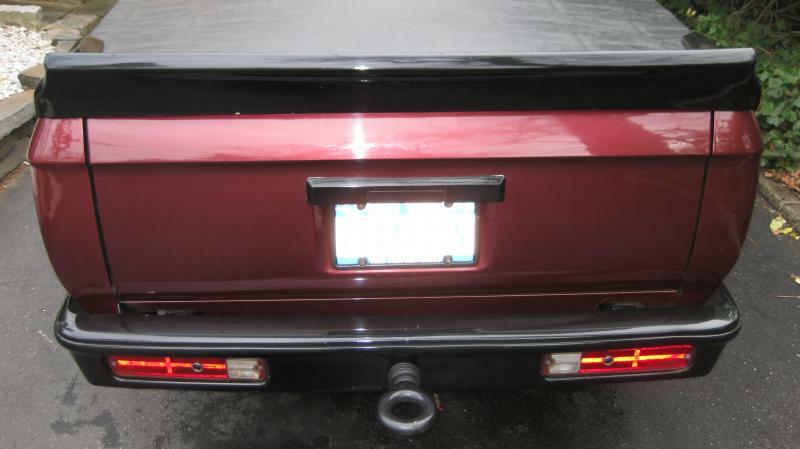 Here are some pics of the rear bumper mod I did. 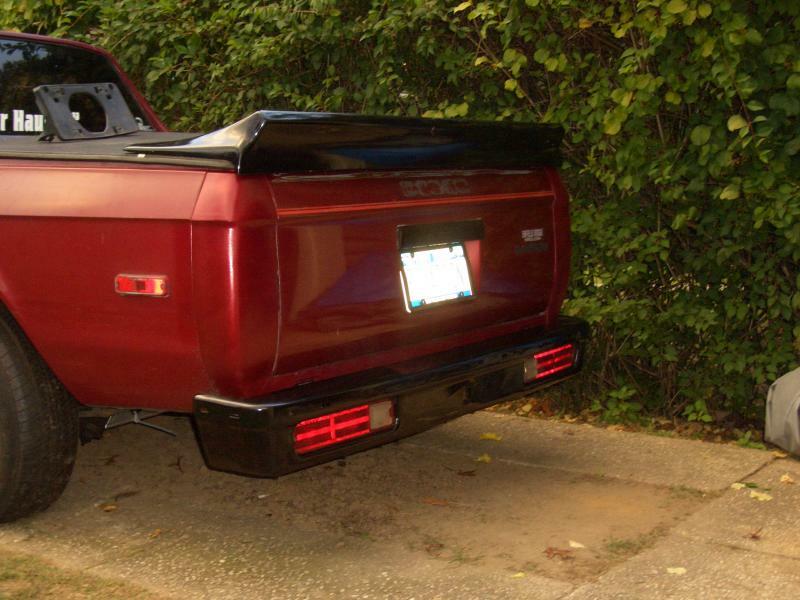 I always like the 80s El Camino bumper better than the plain cheap one our cars came with. 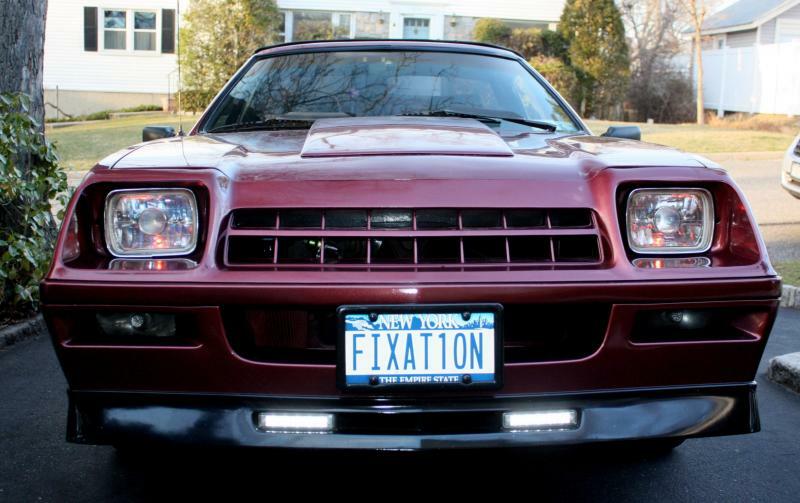 It was a 2 part project, 1st to remove the old lights and fill in the blanks . 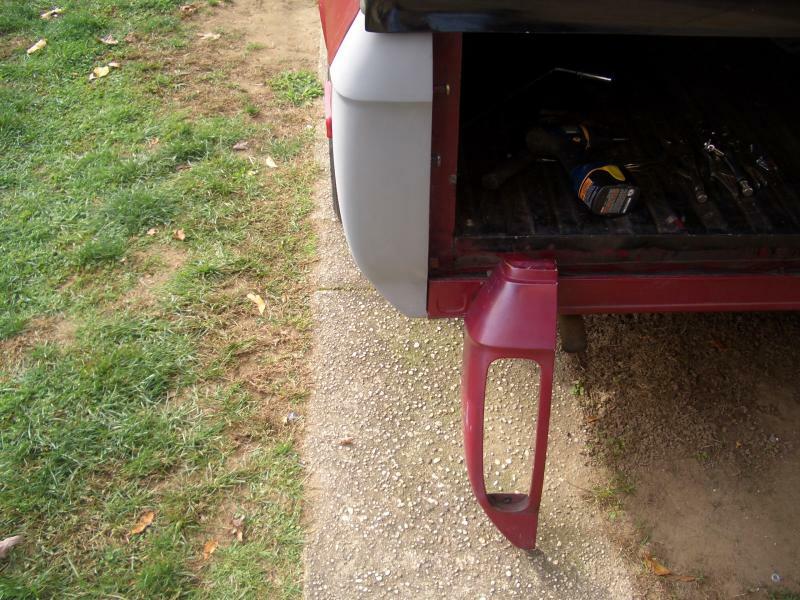 Then I had to cut 11 inches from the middle of the new bumper and welt it back together - as you can see I put a 1 inch hitch receiver in as well . I was able to use the original wire harness and bumper mounts so all in all great little project that I am very happy with . Let me know if you think it was worth the effert or a waste of time . OK, so there are several of us working on these trucks right now. 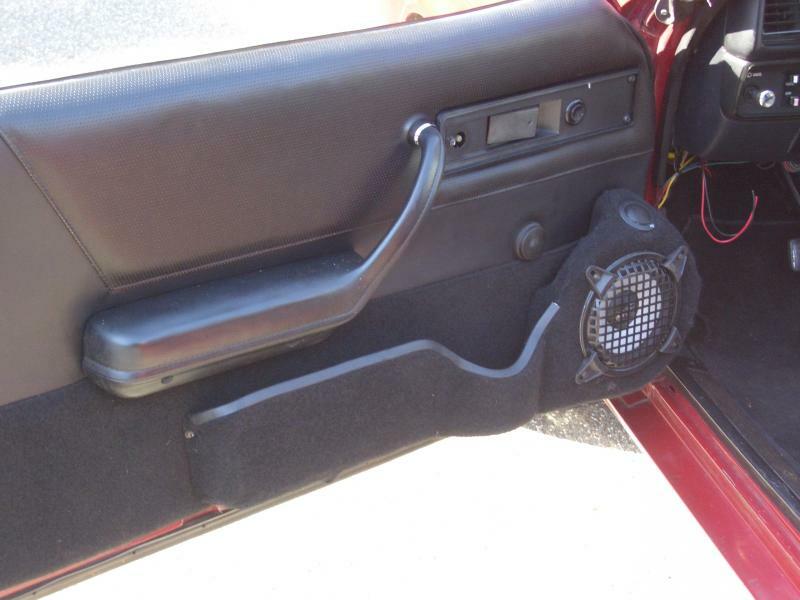 Anybody found a source for the plastic trim clips for the black molding under the rear window? Last time I managed to save them, but this time, well... 30 years hasn't been kind to them. 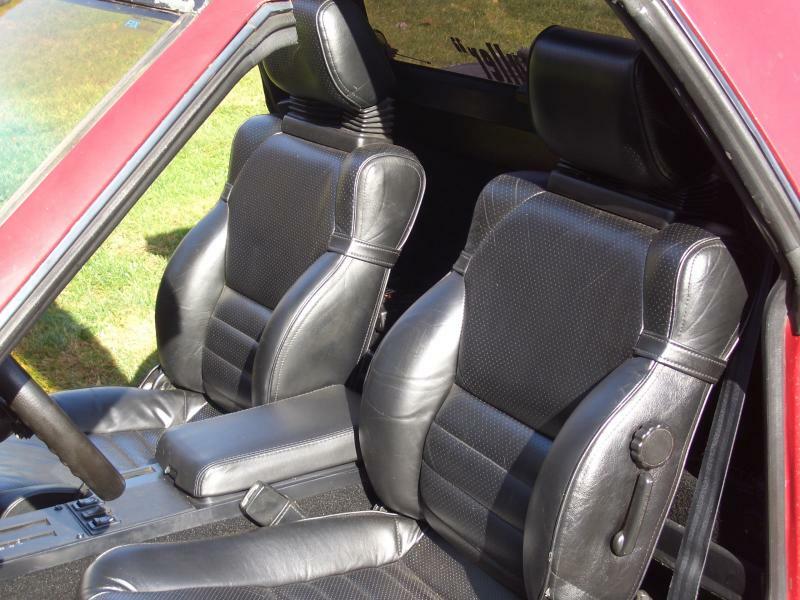 I shouldn't have any issue get clips that will work for the upper trim, in fact last time I found some GM(gasp!) clips that were perfect.